Now the Question is How to Unhide it ?? 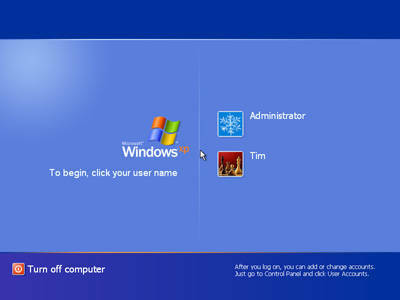 To see the Administrator account, you have to boot the Windows in Safe Mode. However, you can modify the Windows registry so that the Administrator account will be shown at Windows XP Welcome screen for you to select, in the Control Panel's User Accounts and in the local user lists in Computer Management. Once you unhide and reveal the Administrator account, you can change its picture or assign it a password or change the password. In addition, on the next boot to the Welcome screen, the Administrator account will be visible, along with all of the computer's other user accounts.